Sri Lanka should be prepared to face challenges ahead, especially when it comes to food security, which would be brought on by the drought, World Food Program (WFP) Executive Director Ertharin Cousin said over the weekend. According to the WFP, which quoted a research carried out by several agencies including the Irrigation Department and the Department of Census and Statics, Sri Lanka has currently felt only 50 percent of the effect of the prevailing drought. "You have to get your resources in place if you are to face challenges which are ahead of you in the wake of the drought. Without resources you cannot ensure food security," Ms. Cousin told journalists during her visit to Hambegamuwa in the Moneragala District. She also stressed for a joint effort of all stakeholders to ensure success. "I met Prime Minister Ranil Wickremesinghe in Davos earlier this year and he asked for WFP support to face the drought his country was going to face and I told him that we would support but the role of the Government and others would be important as one agency alone could not fulfill the task,” she said. She said she was pleased to see the work done in Sri Lanka, especially by the WFP. 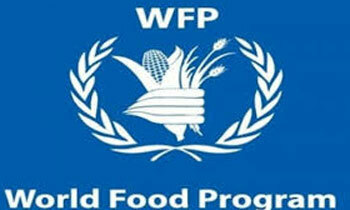 The WFP has funded Rs. 6 million to put up a 15 km electricity fence and to grow thorny bushes such as Hana, Bougainvillea and lime to prevent elephants from destroying the lives and crops in Hambegamuwa. There is a shortage of water for cultivation as a result of the focus on drinking water. THE MAIN REASON IS THAT PEOPLE PRAY FOR RAIN AND CRY AND COMPLAIN ABOUT FLOOD. but our politicians are keen on wasting rice stocks for producing beer! We used to make beer from our paddy stocks and as a Yahapalana policy, we like to import everything including rice. So no wonder our brainy PM as WFP support. According BBC weather forecast today, Sri Lanka will have 3 days rain from tomorrow. Hope it is intense rain. Coca-Cola will siphon the available good water and leave the dirt for citizens. The three main reasons are sand removal earth removal and deforestation - all done by politicians or their henchmen.